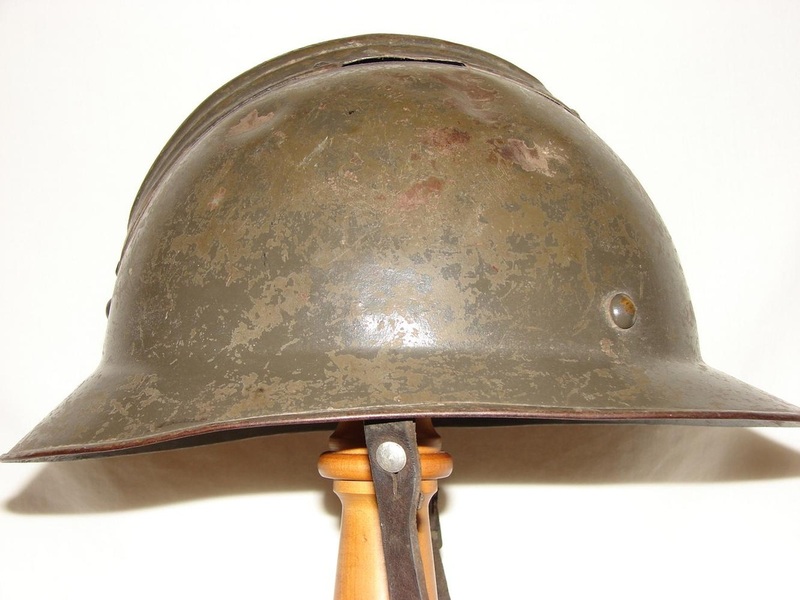 The M23 was a French transitional helmet that had a short life prior to the M26, most of these were exported once production of the M26 got underway. 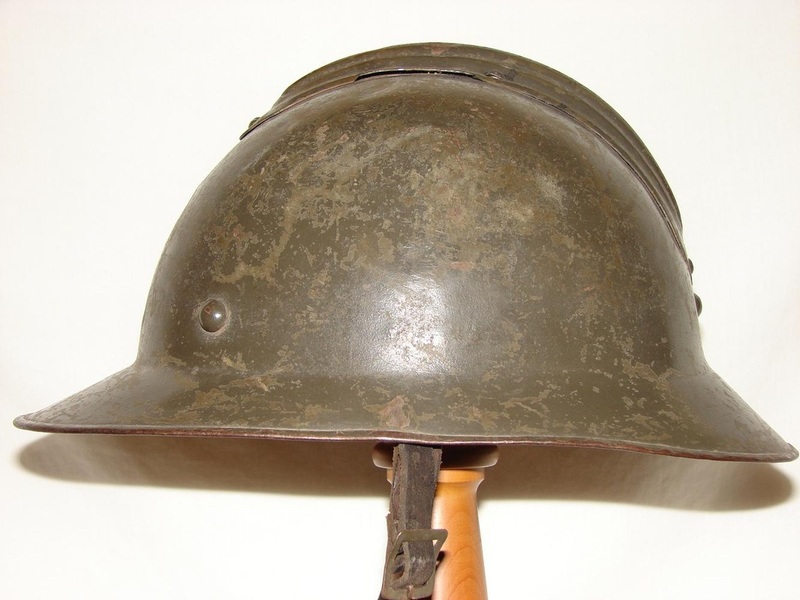 Both M15 and M23's found their way to Yugoslavia in the 1920's to the mid 1930's. 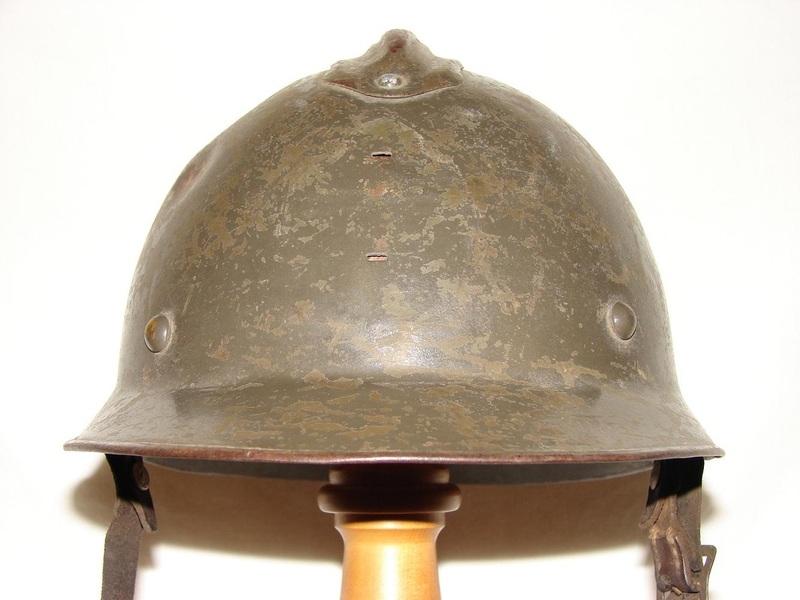 This particular example was one of those helmets, when overrun by Germany and her ally Bulgaria these helmets were captured, sent home and repainted and fitted with Bulgarian made liners and chinstraps from the "Darjavna Voenna Fabrika" (National Factory of Armament). 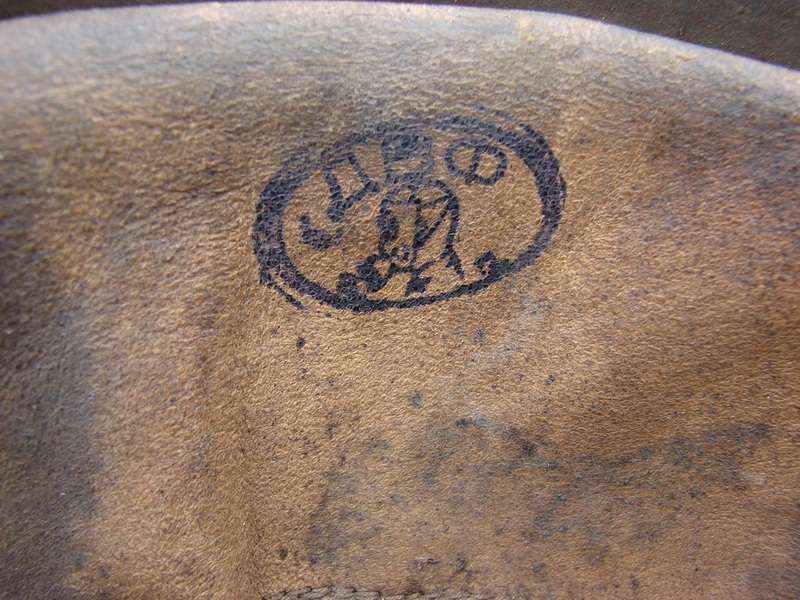 The stamp to the liner translates to "DVF" an abbreviation for this manufacturer initially located in Sofia, later Kazanlak. 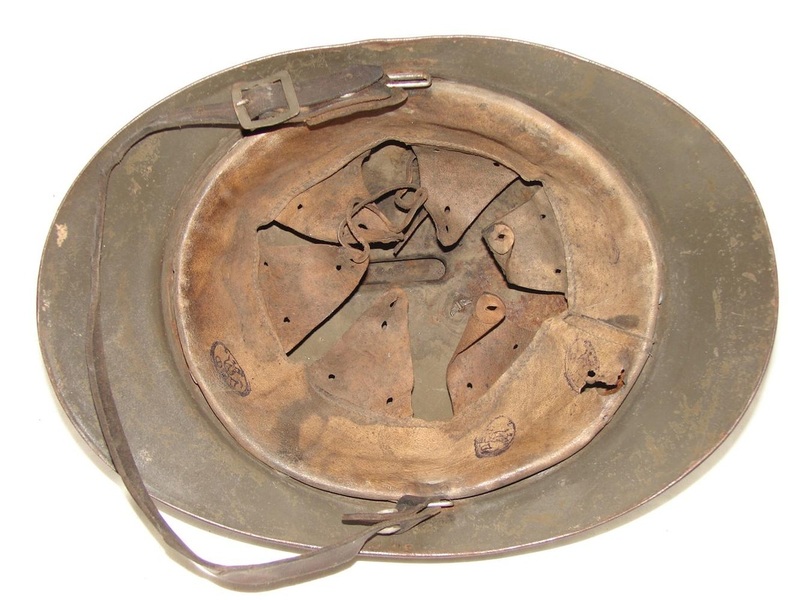 The symbol within the circle is that of a figure with a gas mask. 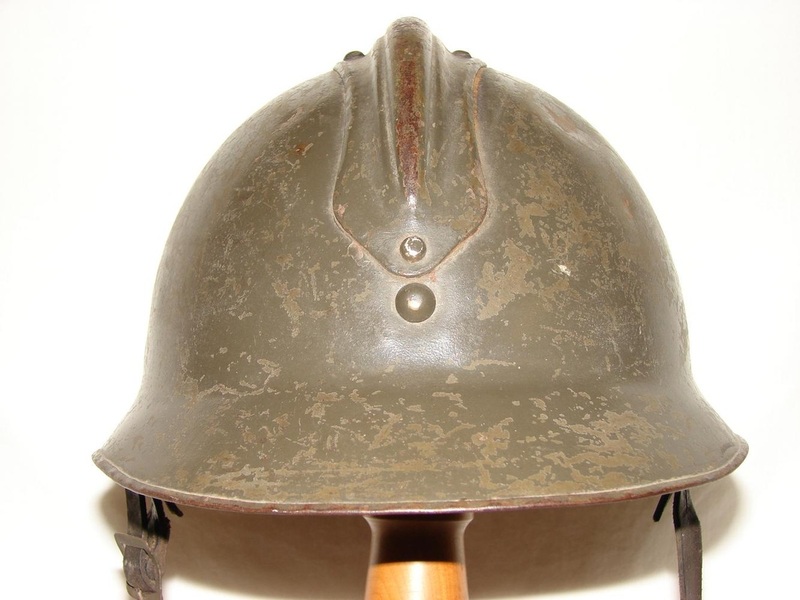 These Adrian's were all transferred to Reserve Units, Civil Defence and Air/Chemical Defence units of the Bulgarian Military, basically the Bulgarian equivalent of the Luftschutz, and continued to be used until phased out by the German "Gladiator" helmets in mid WWII.